Have a Olomeinu Pesach, Olemeinu for Pesach With the Haggadah. This is a extrodinary amazing work of art, many Olomeinus together on Pesach from many years for you to enjoy. This publication includes the complete Haggadah Shel Pesach and it is perfect for young and old. 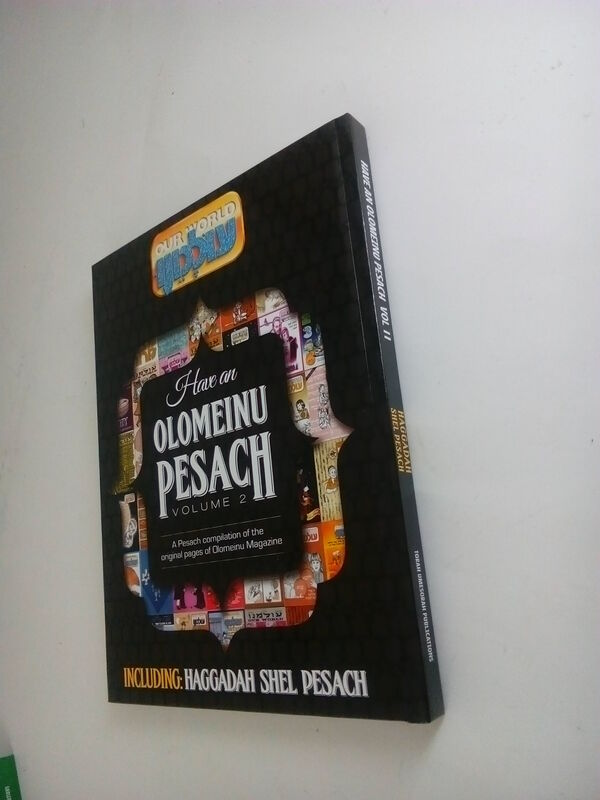 Enjoy the Pesach Seder with this special Haggadah and Olomeinu. HAVE A OLEMEINU PESACH WITH HAGGADAH.